We provide a range of services to care for your pet. Berowra Veterinary Clinic (A&BVC) provide friendly, high quality health care and advice in the Hornsby Shire and Upper North Shore areas of Sydney. Established in 1976, we are an experienced and family-friendly practice. We offer compassionate, comprehensive services for you and your animal family be they dogs, cats, birds, rabbits, other smaller pets or fish. These services include routine preventative health care and checkups (such as vaccinations, desexing, heartworm, intestinal worm and flea and tick prevention, arthritis and dental checkups) to highly skilled diagnostic and surgical procedures. Our in-house laboratory allows us to process blood and urine samples rapidly, often allowing same-day reporting of results, whilst our digital radiographic and video endoscopy units enable our vets to obtain premium digital images to speed diagnosis of our patients’ ailments. We also perform a broad range of complicated soft tissue and orthopaedic surgery. For a full list of services, click here. "To enhance the bond between our clients and their pets through optimizing pet health, using highest quality veterinary care and a focus on compassion, respect and animal welfare." At Berowra Veterinary Clinic, we offer a variety of services to care for your pet. If you have any questions or would like more information on how we can care for your pet, please contact us today. We offer house calls and see animals in your own home. There are many challenges in caring for an animal that cannot be moved from their location for one reason or another. Please let us know of any specific requests or conditions that will require special attention. We believe in utilizing the highest level of medical technology, and our surgeons are experienced and highly trained. 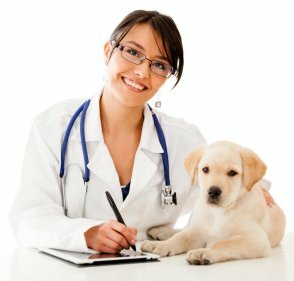 We want to assure you that your pet is in good hands, and that we will do everything to provide the best care possible.